With so many Americans injured or killed by defective Ford Explorer vehicles, have Ford Explorer recalls been issued by the manufacturer? Yes they have -- but not always for the devastating defect of Ford Explorer rollovers. Some 2011-2013 model Ford Explorers were recalled due to power steering defects. In March of 2015, Ford issued a Ford Explorer recall for some 2011-2013 models due to a possible defect in interior door handles. Some 2011-2012 Ford Explorer SUVs were recalled due to suspected defects in steering gear. Ford also issued a recall of some 2013 Ford Explorers because of possible defects in child safety locks on the rear doors. Other Explorers from the same year were recalled due to possible leaks in gas tanks, including a defect which could result in a fire risk. As for the Ford Explorers with the highest number of recalls, those are the SUVs from the model years 1999 and 2000. They’ve had 15 Ford Explorer recalls. Yet so far Ford has not issued an Explorer recall for a notorious defect that has harmed or killed many Americans: rollovers. In the year 2000, Ford issued a recall of 6.5 million Explorers with Firestone tires when it was believed such tires were contributing to Ford Explorer rollover accidents. But that recall -- initiated by Ford independently of Firestone -- did not concern the Explorers’ own design defects. of their manufacture. That leads to an instability which prompts vehicles to roll over during sudden moves. Thus, even following Ford’s tire recall and its replacement of tires in 2000 and 2001, Ford Explorers made before 2002 have kept having fatal rollover crashes at a rate far higher than that of other companies’ SUVs. 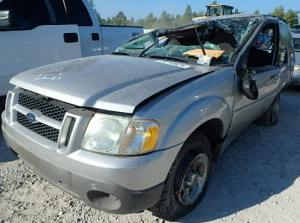 Despite clear and apparent problems with this design, which has caused many rollover injuries and fatalities, Ford amazingly has issued no Explorer rollover recalls for rollovers and has continued selling these defective vehicles to unsuspecting customers. If you or a loved one was injured in such a rollover accident, what can you do? You can get an Explorer rollover lawyer. And you can do that by contacting the Willis Law Firm. Our law firm was at the forefront of efforts to make our roads safer by means of a 1997 case and a 1998 lawsuit involving Explorer rollovers. Firm founder Attorney David Willis later was given the prestigious Steven J. Sharp Public Service Award by the Association of Trial Lawyers of America -- now known as the American Association for Justice -- for his work leading to the largest tire recall in U.S. history. Again, Ford Explorers have rollover accidents for more than bad tires. Many are inadequately designed vehicles whose propensity for rolling over places Americans in danger. If such an Explorer rollover already has impacted your family, notify a law firm whose founder is nationally known for tackling Explorer cases -- and winning. Contact the Willis Law Firm today. We’ll provide you with a free legal consultation, and then you can choose how to proceed. The appalling absence of a Ford Explorer recall for rollover accidents does not mean you cannot file a lawsuit for such accidents. We stand ready to help you with your legal needs and will stand up for you against a negligent manufacturer.